‘For the love of Complexity’ – what does it make you think about? What experiences with complexity do you have? How does complexity play out in your life or your work? At Perspectivity, we love to embrace complexity of all sorts. We like to learn about complexity, not just theoretically but preferably practically. 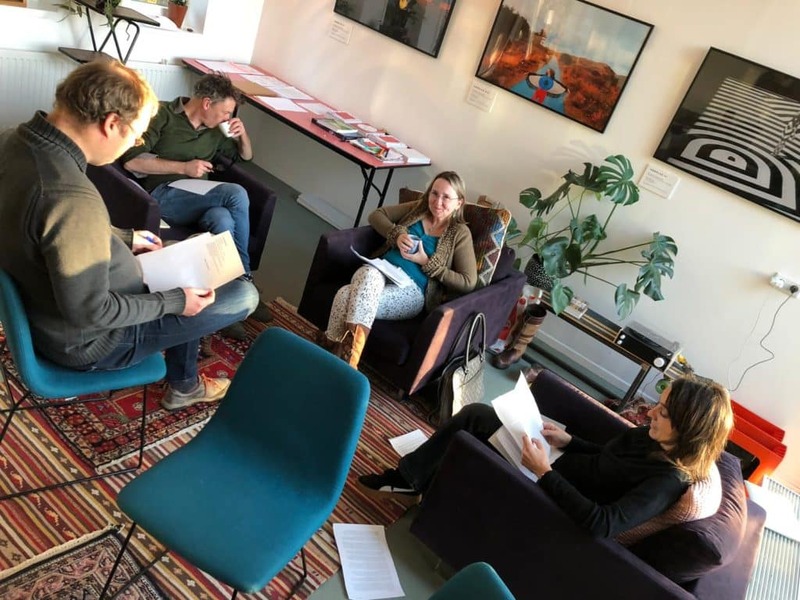 So, to collect stories about different real life experiences navigating through complexity, we organized a two-day writeshop in a forest close to Amsterdam. A bunch of almost twenty complexity enthusiasts gathered together to write down their stories. The writeshop was prepared and facilitated by a preparation team consisting of Lisette, Elien, Petra, Larissa, Marjolein and Tereza. They facilitated the day according to the , a way of collectively writing down stories in a guided way. With the help of this method, we explored step by step how our own experiences can serve a large audience and how it can be communicated in a genuine and authentic way. I had a story in mind for a long time. Only now was I finally able to put part of that in writing. A bunch of inspiring personal stories tackling a number of topics, which despite their variety have one thing in common: they all embrace complexity! The goal is to create some form of publication with these stories, to share our experiences with complexity with the world. You can help make that possible by funding our crowd-funding initiative. As typical for a Perspectivity event, we couldn’t avoid the intense ‘gezelligheid’ in the group of participants and facilitators that emerged almost instantly.